This is a cured meat present throughout the Italian territory and changes its name depending on the Region it belongs to. Its processing involves the use of the upper portion of the pig's neck and part of the shoulder. 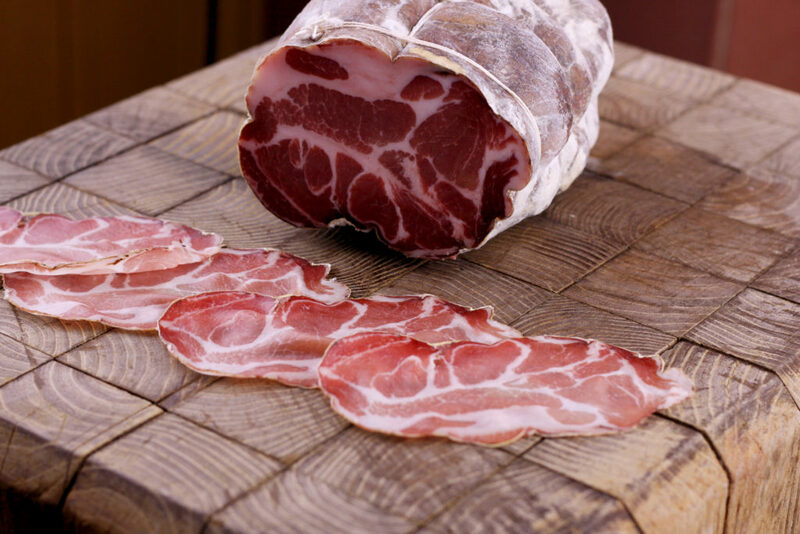 Considered in the past as a poor salami, it has been revalued today achieving the position that it deserves. The meat is kneaded and salted manually and then put into the natural bowel and tied for the aging. It’s an ideal salami for an appetizer as well as for an aperitif. It goes great with dry white wines, rosés or sparkling wines.